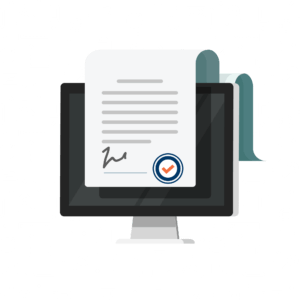 A Service Level Agreement (SLA) is a part of your Managed Services contract that specifies the responsibilities of you and your Managed Service Provider (MSP). They are a necessity because they outline everything from mutual expectations, to indemnification. Managed Services SLA’s vary depending on the solution and provider. Whatever the procedure, there are some standard things that you should look for in any service level agreement. Below is a general overview of what you can expect to see in Managed Services SLA. Performance: This part of your Managed Services SLA defines the level of service you can expect from your provider, and how that performance will be measured. First, you and your provider need to agree on what metrics you will use. Once you have decided on the metrics, you and your MSP will be able to establish reporting procedures and performance expectations. Responsibility: Here the problems you and your provider are each responsible for are outlined. For example, you shouldn’t be responsible for reporting a system failure if you hire an MSP to monitor your environment. Escalation: Not every IT problem is the end of the world, but as a business owner it can often feel that way. Making it clear to your MSP what problems constitute an emergency will ensure that those things take priority. That doesn’t mean that they will ignore the smaller issues; it just establishes an order of operation. Reporting: Reporting procedures should be crystal clear to both you and your provider. Accurate reporting/communication ensures prompt problem resolution. Resolution: Your provider should have a general idea of how quickly they will resolve reported problems. Availability is a big factor of resolution. For example, if something happens outside of the MSP’s “normal business hours,” how much longer will it take them to fix the problem? Don’t leave anything up to interpretation. What are the MSP’s Uptime hours? How can you reach your MSP during Downtime? Will Downtime calls result in extra charges? Should you be aware of specific times services will not be available? Scalability: Businesses grow, and professional needs change. At some point, you or your Managed Services Provider may find it necessary to change or update your SLA. Establishing scalability in your contract now will prevent the need for unnecessary changes in the future. Termination: Although this is a necessary part of any contract, it can feel a little bit like discussing divorce at a wedding. In the long run, though, setting termination terms for your partnership with a Managed Services Provider will protect you both. Managed Services SLAs are legal documents; therefore, you should always review them with a lawyer. Many MSPs have standard agreements that they use for every client. Standard SLA’s are a common practice, but it shouldn’t change the way you approach the situation. If a provider comes to you with one, you and your legal counsel still need to examine it, as you would any contract. OTELCO uses a standard Managed Services SLA for all clients that we work into our Master Level Agreements. Our SLA is designed to meet the needs of businesses and organizations from a myriad of industries. That being said, our team does work closely with clients to create a Managed Service plan that caters to their specific needs. OTELCO Cloud and Managed Services’ number one goal is to provide IT solutions that make infrastructure management secure and straightforward. 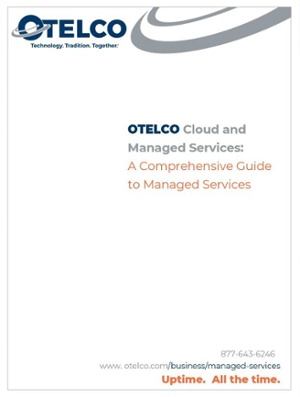 If you are interested in learning more about managed services, how they work and what you can expect from providers, download OTELCO’s Managed IT guide. It is a free, all-inclusive manual that covers everything from the different managed products on the market, to important questions to ask a potential provider.